Galaxy Affiliates Updates at Vegas Mobile Casino & Jackpot Mobile Casino! Warm greetings readers, we hope you are doing well and gambling responsibly. In today’s blog post, you will learn the latest offers on both brands Vegas Mobile Casino & Jackpot Mobile Casino. These are two of our reviewed sites. Since our partnership with Galaxy Affiliates, we have been very impressed with their consistency. For example, they continue to raise the bar with the latest bonus offers and promotions. So… without delay, let’s get straight into the brand new promotions. First of all, we have a new offer at Vegas Mobile Casino. New players get 10 free spins on signup on “Foxin Wins” no deposit required. Plus 25 extra spins on 1st deposit on “Starburst” + 25 bonus spins on 2nd deposit on “Irish Luck” + a welcome bonus package worth £1000. Feel free to have a read of our Vegas Mobile Casino review if you are unfamiliar with this site. Get a £5 Free Bonus at Jackpot Mobile Casino! Furthermore, Jackpot Mobile Casino is offering players a terrific new bonus. This is tailored to all new players who do not currently hold a membership. Therefore, what are you waiting for? Jump right in, sign up and start to claim these terrific promotions! 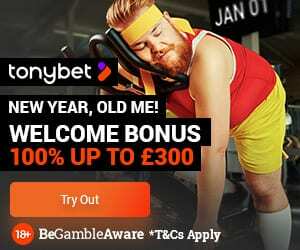 Is there a better way to start your membership than to be gifted a £5 free bonus? Well, that’s exactly what you are entitled to when you sign up and Jackpot Mobile Casino. 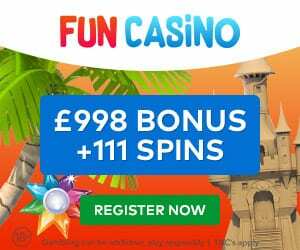 Basically, every new player will get £5 free on sign up + £500 welcome bonus + 50 free spins on 1st deposit on the famous Starburst Slot. Certainly, if there is one iconic slot brand name that is famous amongst online gamers, it’s Starburst. The Starburst Slot is a fast-paced online slot that fascinates you from the moment you start to spin. It’s astronomical audio and high-quality sound effects combined with highly detailed graphics create an awesome arcade-like vibe. As a result, making it a must try for amateurs and skilled players too.